Once hired for a position the candidate shall have sealed official transcripts for all post-secondary degrees mailed from the granting institution directly to the Provost's office. Transcripts should be received by September 1. (5) Names and contact information for three professional references. If you are unable to attach the supplemental materials to the online application please contact Human Resources via email at hrs@sou.edu or by phone at (541)552-8553. for assistance. Review of applications will begin immediately, and continue until the position is filled. Candidates who submit their materials before January 15, 2019 are assured full consideration. The Oregon Center for the Arts (OCA) at Southern Oregon University (SOU) seeks applications for a full-time Assistant Professor position in Emerging Media & Digital Arts. We are looking for a visionary artist-scholar who will serve an interdisciplinary role in a unique Creative Arts Program that integrates art and art history, digital media, and creative writing. Applicants should have a terminal degree (MFA or PhD in any arts area), ability and desire to teach both studio and theory courses, and a professional practice and teaching portfolio that spans critical studies in the arts (visual culture, contemporary arts and culture, critical making), contemporary approaches to design, and emerging practices. Application materials may demonstrate proficiency and/or critical research in any of the following areas of practice (but need not be limited to): digital illustration and image making; sequential art; design history and theory; print production; video game creation; motion graphics; web/UI/UX design; virtual and augmented reality; video and animation; analog, digital and experimental design methodologies; and 3D modeling & fabrication. About the Oregon Center for the Arts: The Oregon Center for the Arts at Southern Oregon University educates artist-practitioners and scholars in a diverse environment that cultivates SOU's values of creativity and collaboration, equity, diversity and inclusion and the well-being and success of all learners. OCA is an academic division of Southern Oregon University and also serves as a community arts presenter, partner, and producer. The structural components comprise its academic programs in Music, Theater, Studio Art, Emerging Media and Digital Arts, and Creative Writing, the Schneider Museum of Art, institutional-based Allied Arts Programs, and Community Arts Partnerships. Go to OCA.sou.edu for more information. Situated in the beautiful and vibrant Rogue Valley surrounded by majestic mountains, the Oregon Center for the Arts is a creative catalyst for our diverse combination of students, educators, and artists, who come to us from around the world to infuse the southern Oregon cultural landscape with artistic excellence. About the Creative Arts Program: The Creative Arts Program contains faculty and degree programs including Studio Art, Art History, Emerging Media and Digital Arts (EMDA), and Creative Writing. Within an interdisciplinary framework, the Creative Arts Program includes state-of-the-art facilities areas of Drawing/Painting, Ceramics, Sculpture, Photography, Digital Art, and Interdisciplinary Arts and Technology. Southern Oregon University is a welcoming community committed to inclusive excellence and the celebration of diversity. Without diversity, our educational process is diminished. Working together in support of our commitment to diversity, we strengthen and enrich our role as learners, educators and members of a tightly connected global community. We encourage those who share in our commitment to diversity, to join our community and we expect all our employees to demonstrate an ability and desire to create an inclusive campus community. MFA, PhD, or other terminal degree in an appropriate field. The successful candidate will have experience teaching college level courses, and a promising record of distinguished scholarship, exhibition, research and/or professional project development appropriate to be appointed at the assistant professor level. Demonstration of effective teaching and mentorship; ability to work collaboratively and cordially with fellow faculty, students, and guest artists; the desire, ability, and patience to effectively teach and train novice students. Preference will be given to candidates who (1) show promise to attract and retain students interested in Emerging Media and Digital Arts, (2) have industry experience and can expand/deepen SOU's connections with creative industries, (3) can demonstrate potential for connecting students with a variety of post-degree options and/or (4) have demonstrated ability to successfully nurture interested students from a diverse student population. Teaching, sitting, and working at a computer. 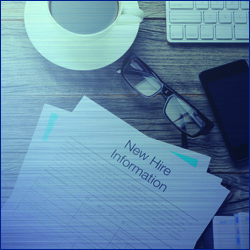 This position is designated as a critical, security-sensitive or safety-sensitive position; therefore, the incumbent must successfully complete a Criminal Background Check. For inquiries and additional information, please contact: Human Resource Services via email at hrs@sou.edu or by phone at (541) 552-8553.